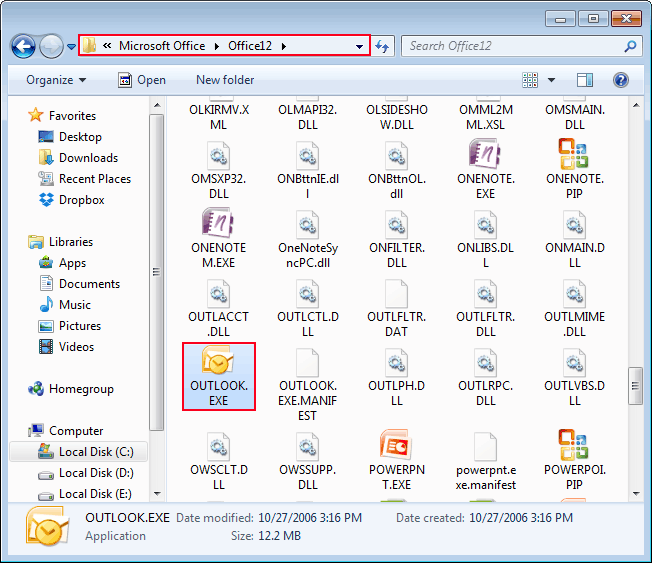 How to Fix Cannot Open Outlook Default Email Folders Error? Errors in Outlook can devastate your email client experience and create troubles in sending & receiving of emails. I think, Microsoft Outlook is more notorious due to its glitches among users in comparison of its features. On one hand, it comes with features that sustain its usability to users and on the other side, we also cannot ignore list of errors which are evoked by it and then repairing process which is enforced on Outlook Data File to rectify those errors. Error message : "Cannot open your default e-mail folders. The information store could not be opened." It has been noticed that this error mainly occurs while opening Outlook or accessing one of any Outlook's profile. 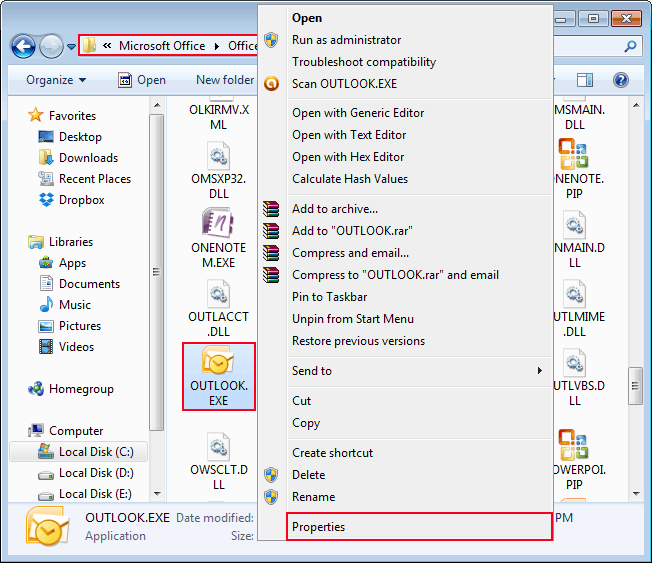 Select the "outlook.exe" after reaching at the particular location and go to its "Properties" option by right click. 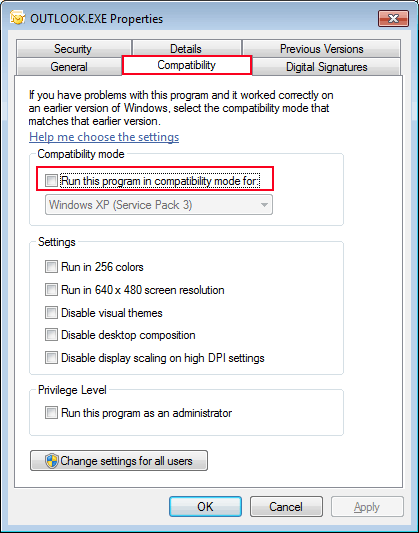 In the properties window, select the "Compatibility" tab and uncheck the "Run this program in compatibility mode for" option. There is also an another alternative to resolve "Cannot open your default e-mail folders" error that is more risky, complicated and hard to try. Either you should have profound knowledge about computer machine and its registry values or take assistance of any expert while handling. Type "regedit" command in the "Run" and open the registry panel of the Windows machine. Find the DWord "Compat Mode" file and delete it. In case, if the file is not available, then create a new one and set a same name with a value of "0". Finally, close the registry editor and restart Micorosoft Outlook. It's not limited to the above given methods. This error appears in the pop-up window when a user goes to open MS-Outlook. Damaged or Corrupted PST data file can also be the cause of this error and if the level of corruption at its peak, then Outlook users should switch for an advance PST Recovery Tool. This application removes all bugs & corruption issues and provides 100% error free Outlook interface.